Designed by one of the leading manufacturers of user-friendly telephones, the Binatone Designer 2115 takes on a far more unique style than most with its sleek black design and ultra-modern look, yet in spite of its premium appearance, it still boasts an affordable price tag. The cordless handset features DECT technology and a large phonebook, while the base station is equipped with an answering machine. 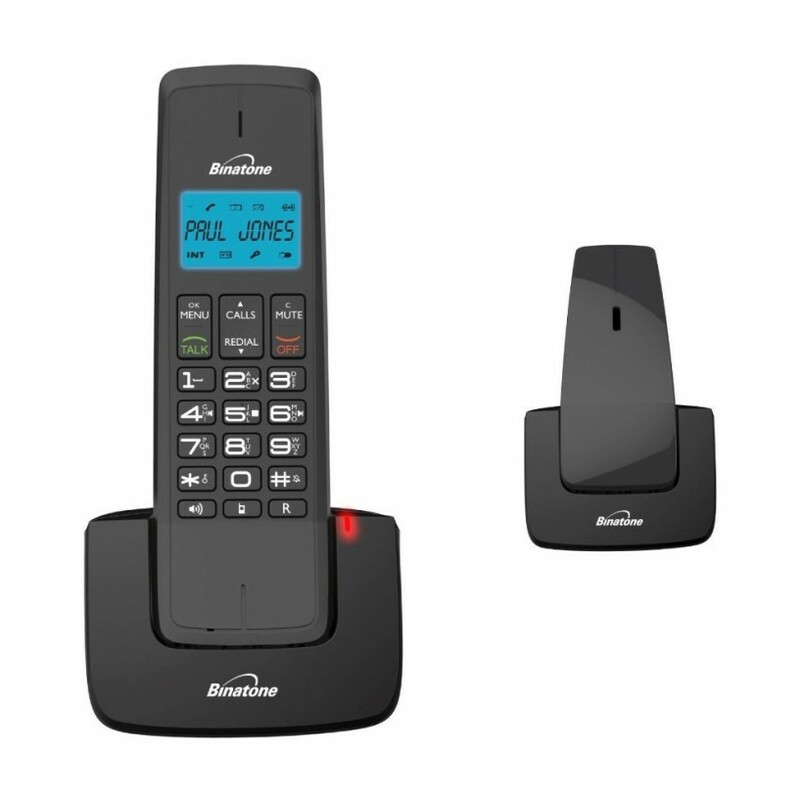 The Designer 2115 features an integrated digital answering machine with an intuitive set of controls to help you manage your voice messages, and it can store up to 25 minutes of audio. 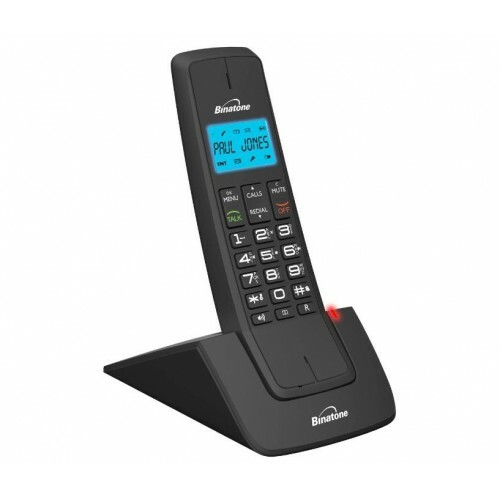 With a blue backlit LCD display, managing your contacts and phone calls couldn't be easier. There is a call log providing quick access to the most recent callers' numbers, and there is a phonebook with 50 name and number memories. When you're on one of those longer phone calls, you can switch over to hands-free mode at the press of a button, and the integrated speakerphone will provide high-quality audio. You don't have to worry about interference or low battery life either most of the time, thanks to the handset providing up to ten hours of talk time. Indicators on the display will also let you know if you are going out of range or the battery is running low. 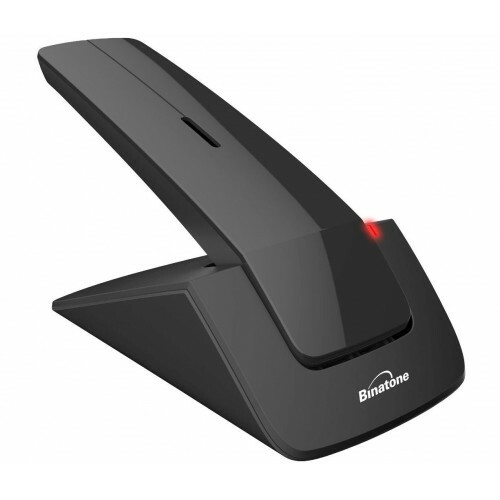 The Binatone Designer 2115 is a perfect choice for those seeking a uniquely designed cordless phone.